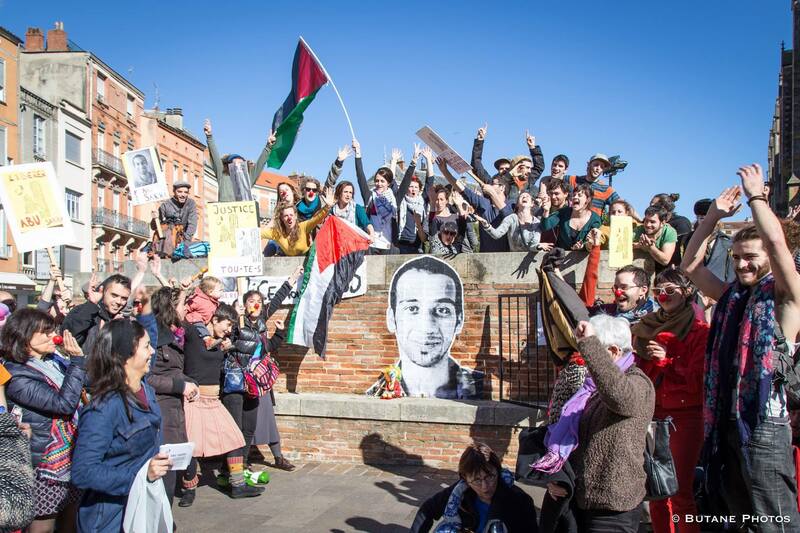 The administrative detention of hunger-striking circus trainer and performer Mohammad Abu Sakha has been limited to three months during a High Court hearing on Wednesday, 10 May 2017. Addameer's attorney Mahmoud Hassan submitted an appeal against renewing the administrative detention of Abu Sakha, which will end on 11 June 2017. The prosecution requested renewal of his detention order for an additional six months. However, during the court hearing, the judge agreed to renew the order for three months under the condition of no further renewal. Abu Sakha joined the mass hunger strike on 17 April 2017, which is currently on its 25th day. His mother, Raja'a Abu Sakha, has also joined the hunger strike in solidarity with Palestinian political prisoners. Mohammad Abu Sakha was arrested on 14/12/2015 at approximately 4:00 pm while he was crossing Zaatara military checkpoint near Nablus to go to his work in Birzeit village, near Ramallah. Abu Sakha has been with the Palestinian Circus School since 2007. He became a performer and a trainer in the circus in 2011. He has participated in various performances in Europe and the United States. He has also participated in numerous circus tours in Palestine. Abu Sakha was supposed to participate in international circus training in March and June 2016. The initial six-month administrative detention order was issued against Abu Sakha starting from 25/12/2015 and was set to end on 13/06/2016. However, it was further renewed three times. Administrative detention is a procedure that allows the Israeli military to hold detainees indefinitely on secret evidence without charging them or allowing them to stand trial.